Basic research and science performed in the Defense Department laboratory enterprise sustains the U.S. military technological advantage and maintains long-term superiority in all warfighting domains, defense officials said here today. The Lab Day event showcased more than 80 exhibits of technical innovations developed by scientists and engineers who work in the defense laboratory enterprise's nationwide network of 63 defense labs, warfare centers and engineering centers. 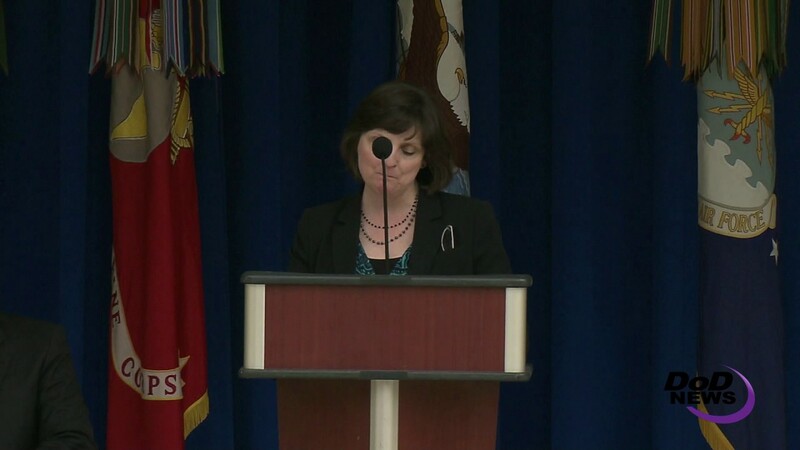 Mary J. Miller, acting assistant secretary of defense for research and engineering, hosted the second biennial Defense Department Lab Day in the Pentagon Center Courtyard. Joining her on stage were James MacStravic, performing the duties of the undersecretary of defense for acquisition, technology and logistics, and Dale A. Ormond, principal director for research in the Office of the Assistant Secretary of Defense for Research and Engineering. "The defense laboratory enterprise helps meet today's urgent operational needs while ensuring decisive overmatch for the force of the future," Miller said. "It provides foundational capabilities for the joint warfighter across the entire spectrum of operations." Lab-enabled capabilities include chemical biological defense; combat fielding; space robotics; intelligence, surveillance and reconnaissance capabilities; and ground and air active and passive protection systems, among many others, she said. The Army, Navy, Air Force and the joint and medical communities were represented today, and Miller said that such widespread representation demonstrates the complexity and diversity of the DoD lab enterprise. "As you walk the line, you will see some of the same technologies being worked in each service -- things like autonomy and directed energy, for example. These technologies show great promise for incredible improvements to future military capability," Miller noted. The services have leveraged the knowledge gained in their sister services and are applying that knowledge to evaluate these technologies as they apply to specific service missions, she added. To highlight a few of the innovations displayed today, Miller described technology from each service. The Army Research Lab designed a soldier weapon exoskeleton to increase the lethality of the future dismounted soldier. These wearable mobile machines increase a soldier's strength and endurance, she said, and the three-armed exoskeleton displayed today was designed to reduce arm fatigue and improve marksmanship by steadying a soldier's weapon. "This technology will potentially increase soldiers' lethality by allowing them to easily and steadily wield more powerful weapons by redistributing the weight and mitigating the recoil of the weapon," Miller said. From the Combatant Craft Division at the Naval Surface Warfare Center comes the Stiletto, Miller said, an experimental all-carbon fiber craft originally built to explore the scalability of non-mechanical dynamic lift, composite-carbon-fiber construction and high-speed performance for military operations. "This ship has since become a test platform that allows industry, government and academic organizations a realistic environment within which they can demonstrate emerging capabilities and technologies as the Navy pursues more unmanned surface and underwater capabilities," she explained. The Air Force Research Laboratory's low-cost attritable aircraft technology aims to develop a family of low-cost expendable unmanned air vehicles. The program now explores technologies for a new category of UAV capable of delivering long-range responsive capability in near-peer environments that limit or prohibit forward basing, she said. "Because these unmanned aircraft can fly into highly contested areas ahead of a manned craft, this new UAV will significantly improve engagement in contested areas," Miller said, "and the target price is under $3 million." In his remarks, MacStravic said the basic research and science performed in defense laboratories sustains the department's technological advantage in maintaining long-term technological superiority in all domains: land, sea, air, space and cyberspace. "The uniformed and civilian scientists and engineers working in the DoD labs and centers explore new scientific frontiers, advance military capabilities and technologies and help to shape the battlefield. … And our engineering centers help translate research into militarily useful technologies and provide reachback capabilities and subject matter expertise to solve problems and challenges within the existing systems." The technologies being worked on in the defense labs offer leap-ahead capabilities and the potential for what are considered game changing advancements across all domains of warfare, he said. "We are changing games, we're changing games on our terms," he added. "Each of the products you will see is a critical part of maintaining our technological superiority, yet they're only a small part of the efforts taking place across the DoD labs," MacStravic said. The work being done in DoD labs and centers not only contributes to the lethality of the warfighters, but also helps them survive, he added. "The state-of-the-art work being done in our medical facilities has enabled the Department of Defense to increase the survival rate of wounded warfighters in Iraq and Afghanistan," MacStravic said. 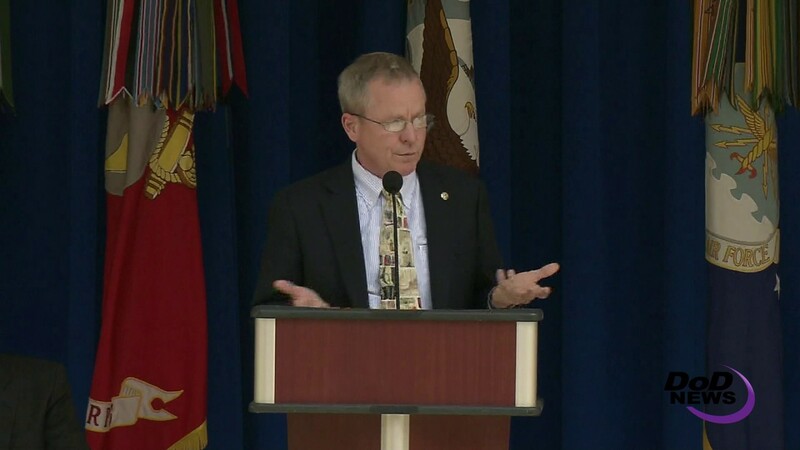 Describing his tour of the service labs' displays, MacStravic mentioned Army autonomy and artificial intelligence projects involving autonomous systems and manned and unmanned combat teaming. "For the Army, at the Army Research Laboratory, our scientists and engineers are performing the underpinning science that will take robots from tools to teammates," he said. MacStravic also mentioned the Naval Medical Research Center's Biological Defense Research Directorate Mobile Laboratory and the Air Force Self-Protect High Energy Laser Demonstrator, called SHiELD. "Our labs and centers are engaged not only in militarily related innovation, but also in science and technology that's helped support peacekeeping operations, mitigate global disasters and even improve the effectiveness of NFL helmets," he said. From protecting warfighters against traumatic brain injury to fighting viruses such as Ebola and Zika, the incredible skills and work of DoD and civilian scientists and engineers make them an extraordinary resource to all acquisition professionals, MacStravic said. Make no mistake, he added, "our DoD lab enterprise is world class and the core technical engine of the Department of Defense is its science and technology workforce."